Born in Vienna in 1964, studies at the Vienna University of Music, (B.A. in church music, 1987; M.A. in organ performance, 1993). Cathedral organist in Strängnäs, Sweden, followed by his appointment as abbey organist at Anton Bruckner’s organ at the St. Florian monastery. 1990-2011 organ and church music consultant of the Archdiocese of Vienna and professor at the Vienna Church Music Conservatory (organ, organ improvisation, hymn playing, music history, as well as organ building and design). Authorized expert in church music, organology, and campanology. Repeatedly guest professor at the University of Music in Vienna, lecturer in hymnology and figured bass at the University of Music in Graz (2008-11). Doctoral studies in organ performance at the University of Kansas in Lawrence (2001–2003) as well as Director of Music at the local St. Lawrence Catholic Campus Center. Additional doctorate in musicology and music theory at the University of Vienna (Dissertation on „Late Romantic, Impressionistic, and Neo-classicistic Influences on the Style of Maurice Duruflé’s Organ Works“ in 2008). 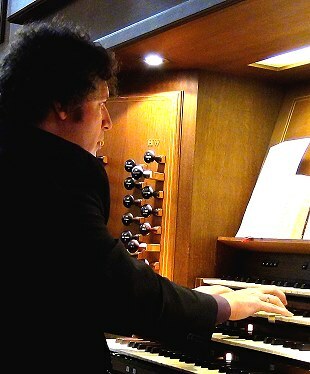 Artistic director of the Vienna Organ Recitals. Numerous concerts in most European countries, in the United States, Korea, and Russia. Member of competition juries (Salzburg, Moscow), composer of church music, expert in the field of liturgical organ playing and organ improvisation.